Expecting Rain • View topic - What is Your Favorite Bob Dylan Verse? 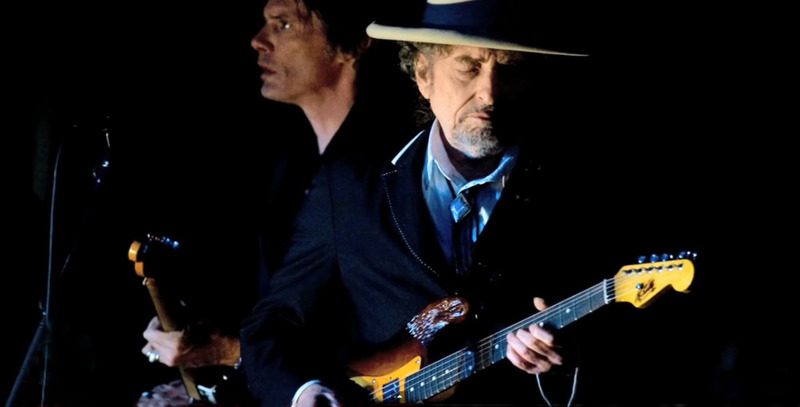 What is Your Favorite Bob Dylan Verse? Post subject: What is Your Favorite Bob Dylan Verse? "Oh, where have you been, my blue-eyed son? Post subject: Re: What is Your Favorite Bob Dylan Verse? Shelter from the storm is one of my favorite songs from Bob, what about this verse puts it above the other great ones for you? She could still be there sleeping when I get back." I think it has just as much to do with the way he sings it than anything. Love the Real Live version too. If I had to pick one, it would be the last verse of Mr. Tambourine Man. Just sublime. they throw us all in jail for carry'in harpoons. It was 1965, and as an 8 year old, I loved this lyrical dexterity. Who else would dare?! Who else could sing the word "manipulate" as easy as others sing moon-june-spoon? Who else can attach a message of such import to music that makes dancing so teasingly irresistible? This is why I love Bob Dylan. Have way too many favorites! "Advertising signs that con ..."
Just the flow and sound of these images has always struck a chord with me. No other explanation. Of course the whole song is superb. And when I hear/sing this verse in my head it's always the Hard Rain version. I was there for a Party once. Bob uses "rain" and "train" so often in his verses, doesn't he? And somehow those verses are always beautiful. Especially if there's a mule or two in there as well.